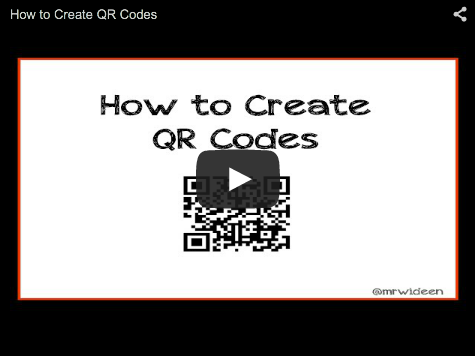 Watch this screencast tutorial about how to create a quick read (QR) code. Here is a screencast that demonstrates how to download videos from Dropbox to your iOS (iPhone/iPad) device. Click on "Read More" to watch the tutorial. Click on "Read More" to watch the screencast. Screencast of 2 students importing and exporting goods between 2 countries within the vitural world of Minecraft. This video is hosted in my Public folder on Dropbox. Right click on video stored in your Public Dropbox folder to get the Public link. Use the html code found below as a template to embed and stream your videos from your Dropbox account. The text in quotes "dropboxvideo.mp4" must be changed to Public link copied from your Public folder. Change the video width and height number in between the quotes to fit the embedded video into your website or blog post. The html embed code for the video streaming from my Public Dropbox account can be found under the video. My name is Cindy, I am part of the reading program using Kobo e- readers. I loved that we could read your books since you came here to visit our school last year. When you came to visit that was very cool because you could tell us about your experiences and what you get to see and do. I thought it was cool that you used to be a teacher and now you are an author who's books are being read by millions everyday around that world. So far I have successfully read 1 book. I read Cat Boy without crying but I almost cried at the end of Alexandria of Africa. Sadly, I only read Alexandria of Africa on the e-reader but it was very fun getting to read and play on them. My class is actually piloting the e-readers that we bought using our Indigo grant. I am very glad that we went to Indigo to buy books. Also our librarian Mr. Wideen told us that you are following our twitter account because you read about the e-readers and that we are reading your books. Well I must admit when I was reading Alexandria Of Africa it was incredible. Our teacher let us pick which book we wanted to read. I am very glad that I picked Alexandria Of Africa. The first few chapters made me feel that I knew when, how and why Alexandria was in court. I especially liked when she hit a girl's car with a golf club because she stole her boyfriend. I also liked the ending when you wrote “Alexandria how do you spell your name?” “Is it for the papers?” “No, my mom would like to name the baby after you.” I thought that was very nice and the title and events all made sense. I have some questions about the book. When was this book made for? Present or future? What inspired you to make this book? Did someone inspire you to write all these books? Have you stared any new books?